Global Travel Media » Blog Archive » The Atura … well set up for road warriors. Melbourne & Olympic Parks (M&OP), home of the Australian Open and world-class event experiences, has announced a series of Melbourne venues set to showcase at the Business Events Australia Greater China Showcase held in Melbourne on 25-28 November 2018. Delegates from China can expect to see an array of venues – boasting architecturally impressive concepts that are quintessentially Melbourne and located in close proximity of the city’s vibrant CBD. “This year is the first time the BEA Greater China Showcase is being held outside of China – we’re looking forward to unveiling how our venues can enhance incentive events for delegates, whilst showcasing the best that our beautiful city has to offer,” said Lara Burnes, General Manager – Premier Events & Experiences, Melbourne & Olympic Park. During BEA’s three-day event, M&OP will welcome delegates interested in visiting their iconic array of spaces paired with the world-famous Australian hospitality. 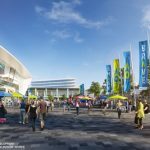 M&OP will also host a famil for media and corporate buyers, which will see them undertake a tennis-inspired activity and tour of Melbourne Park. “Guests will be delighted and inspired by our unique venues. From intimate dinners to large scale conferences, our attention to detail and bespoke offerings form the perfect bedrock to build connections and memorable moments,” said Burnes. 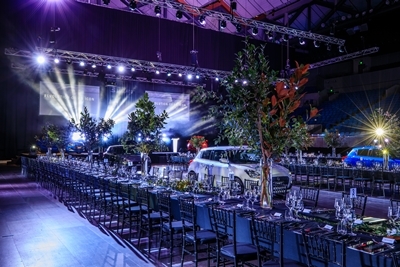 M&OP venues include Rod Laver Arena (Centre Court), perfect for hosting intimate gatherings within its exciting open spaces; AAMI Park, the site of the nation’s most historical sporting moments; and Margaret Court Arena and Melbourne Arena – both which present one of the most exciting large-scale event formats for guests from 200 up to 8500 with flexibility for formal dinners, cocktail-style events, galas and conferences. Looking to 2022, a new state-of-the-art conference centre will join M&OP’s list of arenas, stadiums and venues with capacity to host 3000 guests. The new development promises to elevate M&OP’s capabilities with bookings available from early 2019.